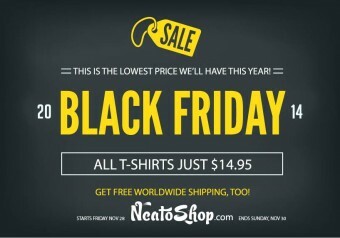 Our very good friends over at Neatorama are currently running a Black Friday weekend sale in their popular NeatoShop. They are offering all their awesome shirts for just $14.95 each and are also giving free world wide shipping (yes, world-wide) on orders over $75. The sale runs now until Sunday the 30th at 11:59pm. 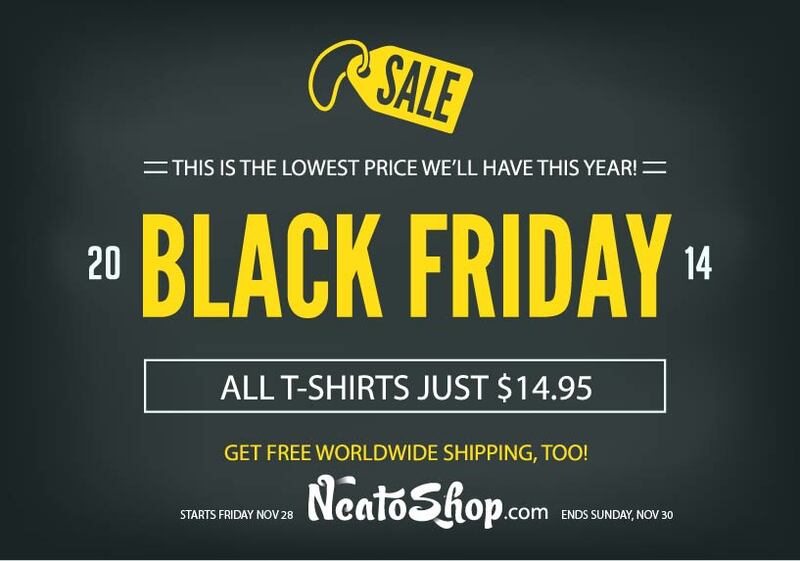 So if you’re looking for some great inexpensive gifts for people or are just looking to stock up on some T-shirts at a great price, go check it out now before the sale ends!